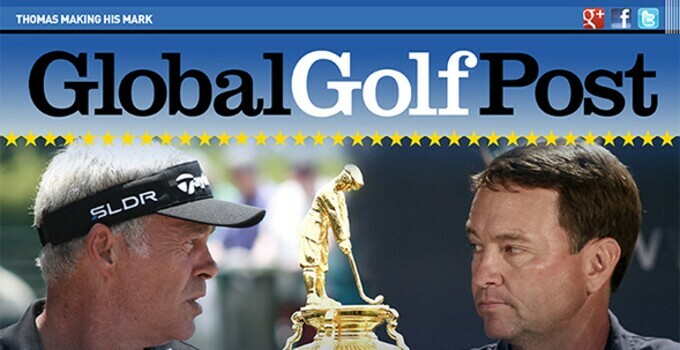 Inside this week’s edition of Global Golf Post, Ron Green Jr. and company take an in-depth look at the future Ryder Cup captains: Davis Love III and Darren Clarke. Also, Tiger Woods will miss the Honda, Michael Jordan wants to build his own golf course and James Hahn finished solo atop the leaderboard packed with stars going to war for the Northern Trust title. Get it: Hahn, solo, star, wars … I'll keep my day job. Also within the pages: what makes the short, par-4 10th at Riviera long on difficulty, Lydia Ko earned her sixth LPGA title two months before her 18th birthday, and a slumping golfer blaming his poor play on kicking a Coca-Cola addiction. Click HERE to read the entire issue and sign up today to stay Posted to the game we all love.